After a very busy month, the August Focus Through the Prism is done and linked up before the deadline. 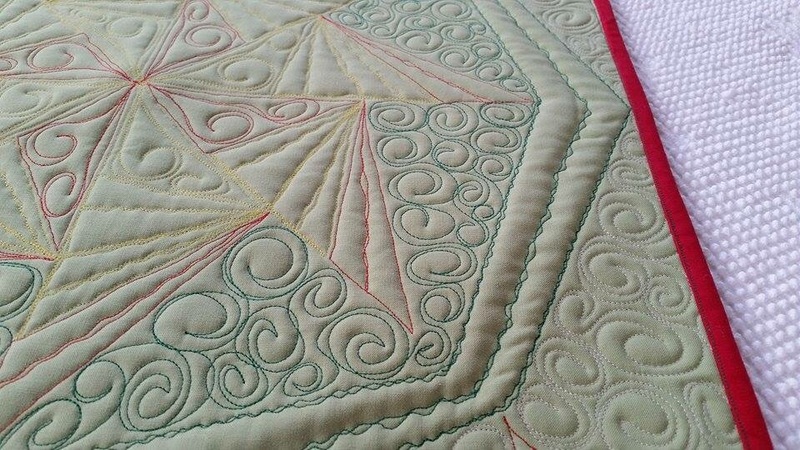 This would absolutely not have happened by the deadline without Marcia (who quilted it, added the binding, and provided photos of the finished product). First the pics and then I’ll tell you how it happened. 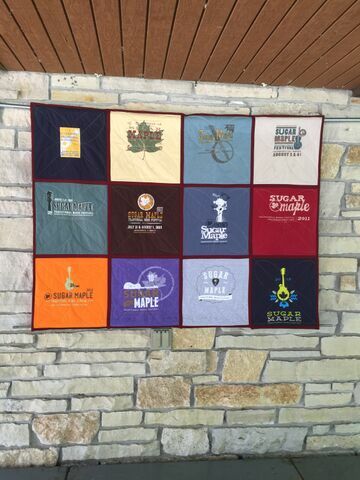 Before starting the challenge, I had to complete a t-shirt quilt that would hang behind one of the stages at the Sugar Maple Festival. Of course, I didn’t even start cutting the t-shirts until 2 weeks before the festival. Bah! 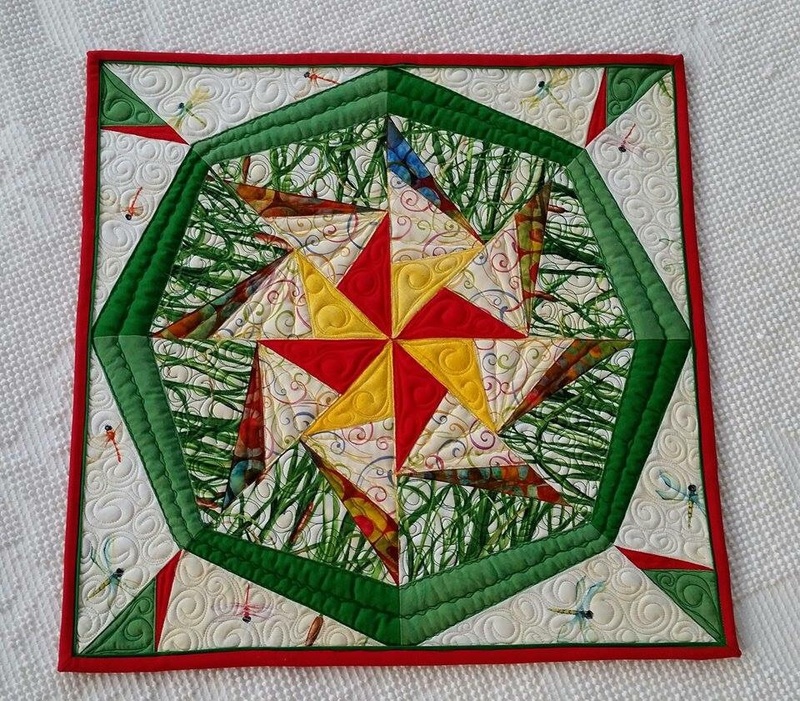 But by 14 Aug, it was ready to hang and I was excited to get creative with dragonflies and pinwheels in green. 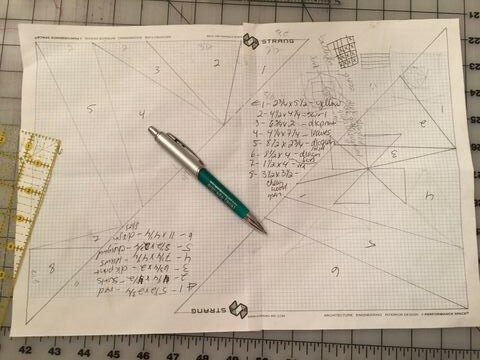 First the planning. 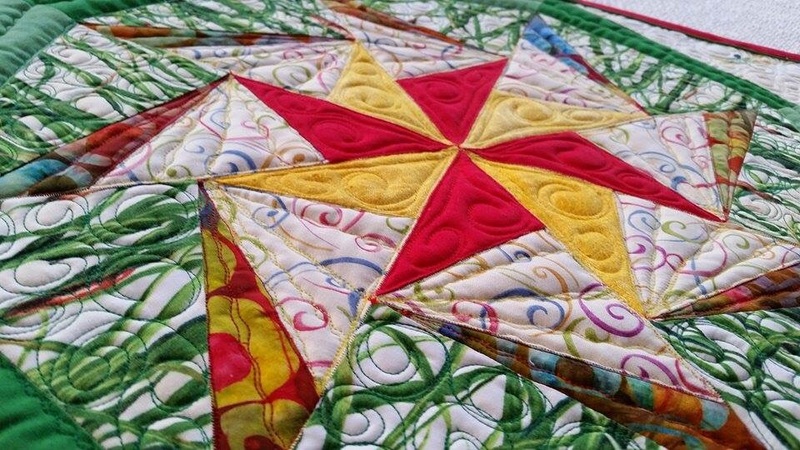 I based the design on Block Rock’n Lithium but made it a bit larger and added 1/4 pinwheels to the corners. 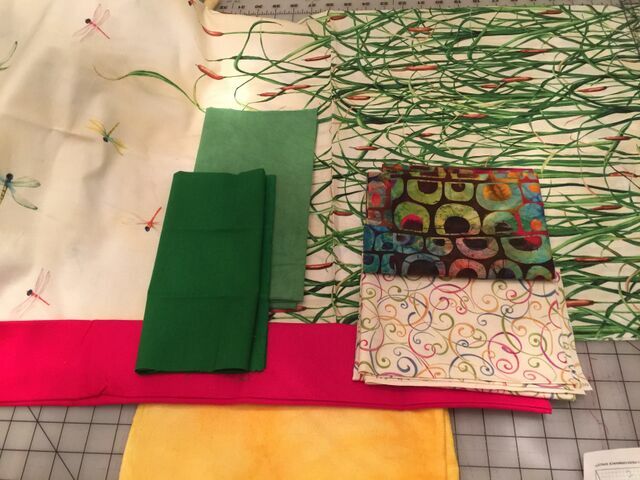 I found a beautiful dragonfly fabric with cattails at Mill House Quilts in July (“Water Lilies” by Cedar West for Clothworks). This would fit quite fine as my “panel” and be used with the Cherrywood green and a few others. 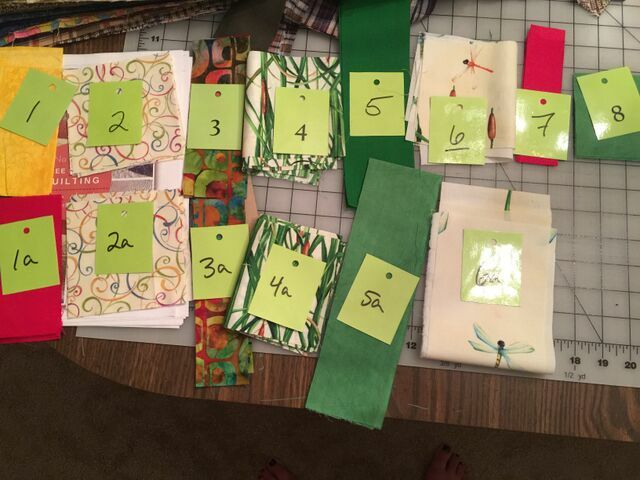 Because I follow directions ;-), each of the pieces for the pattern were cut and numbered. Assembly was fast and easy. 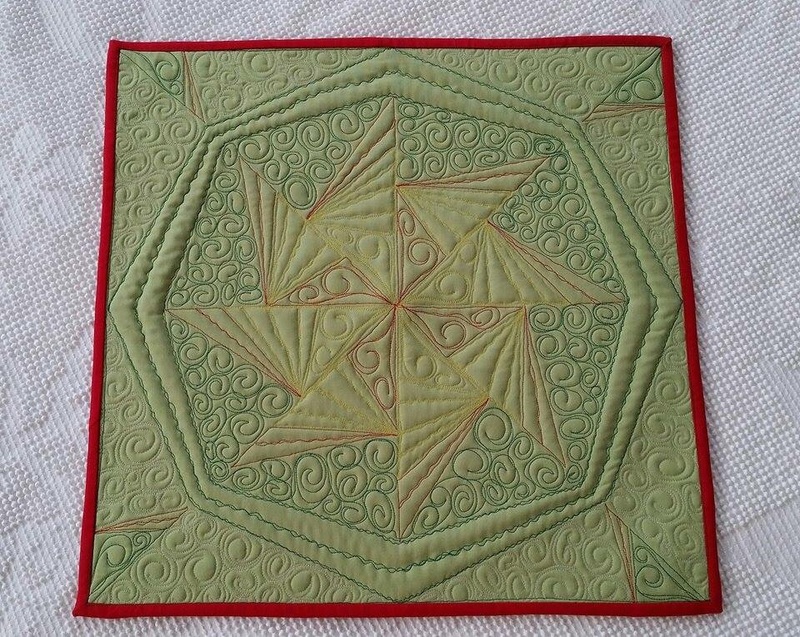 Who knew that paper piecing would be so much fun?. Now that we are home, I’m ready for Sep with RED.